Pick the Right Furnace – It can be difficult knowing which residential furnace model is right for you. Do you go with the best of the best and go Platinum or do you go with the solid and durable Silver series? Let American Standard help you make that choice. Get in touch with a local dealer and learn the benefits of oil and natural gas furnaces. These durable home air conditioning units are an energy-efficient solution for keeping your family comfortable on even the hottest days of the year. Central air you can count on – From the high-end Platinum series to the durable units in the Silver series, no matter which American Standard AC unit you choose, remember that you’re getting central air you can count on. When you choose American Standard, you get engineering and craftsmanship paired with higher quality air and comfort. Meeting and exceeding SEER standards – SEER (Seasonal Energy Efficiency Ratio) Standards are like the miles per gallon in a car. 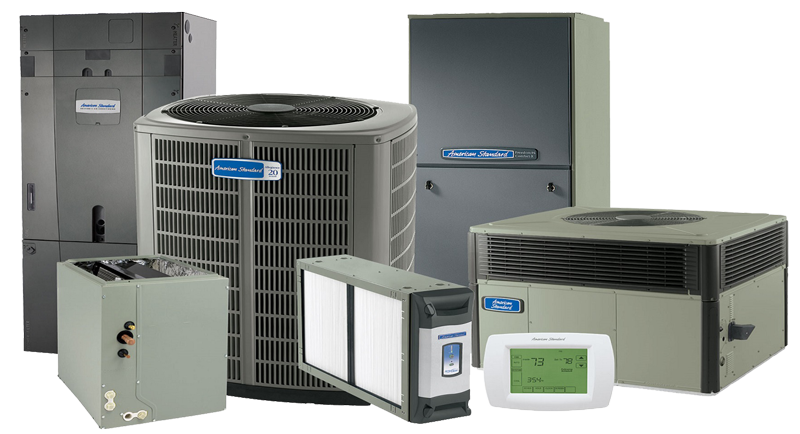 Most American Standard air conditioning units satisfy or exceed the minimum government SEER standards. This means more comfort for your family and greater energy savings for you.